Hello Everyone! 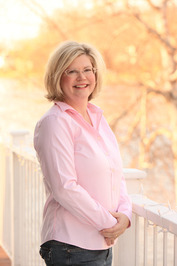 I hope all is well with you, my name is Lisa Orchard and I’m the Young Adult author of the Super Spies series. I’m a guest of Jesse’s today and I’m here to share with you why I chose to write for the Young Adult Genre. First of all I love this age group! When I started writing “The Super Spies and the Cat Lady Killer”, I looked back on my own life and realized my teen years were some of my happiest times. It’s that time in your life when everything is possible and I remember how excited I was to explore all the possibilities I could imagine. I wanted to bring that same feeling of joy and anticipation to my readers. It’s also a time in your life when you develop your strongest bonds. There’s a lot going on during those tumultuous years and teens go through many changes. They learn a lot about themselves as they grow and challenge their boundaries. In my story “The Super Spies and the Cat Lady Killer” my lead character Sarah develops a strong bond with her new friend Jackie. In the story, an innocent game of Truth or Dare turns dangerous when Sarah is dared to go up on the Cat Lady’s porch and ring her doorbell. Sarah discovers the dead body of the old woman and shows it to her sister, Lacey, and Jackie. Suffice it to say the girls are found at the crime scene of the Cat Lady’s murder and the story takes off from there. The relationship between Sarah and Jackie is strengthened by the setbacks that they experience as they try to snare the Cat Lady Killer. Sarah’s relationship with her sister also takes on a new dimension as she realizes that not all relationships are the same and she gains a new perspective about her sister as the story develops. Not only are relationships evolving during the teen years, but there are added expectations as well. With all the pressures on young people today there are times when a teenager is going to make the wrong decision. There’s a lot of angst about making a bad decision at this age, and the reason for this is that it’s the first time young people will be making some of the decisions that they have to make. It can be overwhelming. In my stories my characters sometimes make bad decisions and I did this on purpose, because I wanted to illustrate to teens that they can survive a bad decision. They will have to suffer the consequences of those decisions, yes, but those consequences are not permanent. Good news, wouldn’t you say? So there you have it, my inspiration for writing my stories in the Young Adult Genre. So, check out my books and let me know what you think! I’d love to hear from you! For more about The Super Spies and the Cat Lady Killer check out these sites! 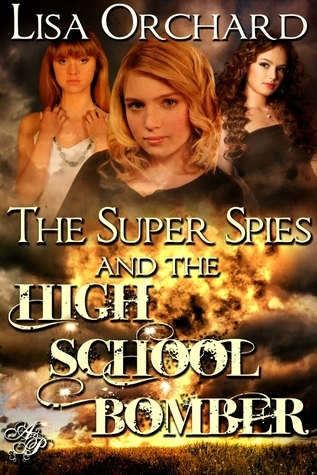 For more about the sequel The Super Spies and the High School Bomber check out these sites! Hey, Lisa! Inspiring post! You're a hard working author that's for sure! Best wishes on your awesme MG series! Tweeted and shared! Thanks for stopping by Sharon! I appreciate the support! I have the sneaking around part of being a spy. But thats about it..
LOL! Well you never know when that skill might come in handy! Thanks for stopping by! I appreciate the comments and the support! I hope you entered the giveaway! Good luck! I think must have strong body and skill to sneaking around. LOL!! Thanks for stopping by Filia! I agree with you! A strong and agile body is certainly a must! As I've gotten older...I've gotten rather clumsy...so my sneaking around ability isn't what it used to be! I hope you entered the giveaway! Good luck!